The easiest thing for us all to do is to sit and morosely say I have nothing! And when I saw Triumph as the topic for The Missing Slate’s open mike session, I said here is a chance to think of the other side of sitting and thinking I have nothing. Let me delve a bit in to the past. Triumph for ma as a kid was associated with the famous Arc de Triumph in Paris, which was built over a hundred and eighty years to commemorate the French revolution and Napoleonic wars. The tall big gate like structure, on the end of the Champs-Elysée in Paris, which of course any French person will correct you to pronounce as Parree, with its night illumination was more than enough to impress a young tourist kid of the majesty of being triumphant! Fast forward to final year in school and bicycling to school like most school mates and grudging a couple of school mates who came on Vespa’s, till one day a class fellow came not on a Vespa but on a motor cycle – and that too not just any motor cycle but a brand new shining full of chrome Tiger Cub, yes a Triumph Tiger Cub! And triumph took on the meaning of a shining roaring beeping motorcycle. And as is said there is many a slip between the cup and the lip. These two triumphs were not the end of triumphs in life but as I look back now just the beginnings. The seasons changing from May to June many years ago in Peshawar was close to unbearable, but I was happy that soon this heat would be lessened by the pleasantness of Abbottabad. And Abbottabad it was; only the regimen made life tough and the weather became secondary to survival. However the Pakistan Military Academy gave new meaning to life, I found that I could do things better and that gave me an impetus. The desire to triumph this time in perhaps the actual meaning of the word. And I got down to the serious business of winning. Going the extra mile, working, physical fitness, drill, and what have you led us to the day when we were all gathered in the Ingall Hall to hear our fate, and my name was called out last. I was to pass out with the top honor. And then life started in earnest. The triumph as is said cost me dear (mehangi pari). The bar had been set high for me by none other than myself! And everyone expected me to “do better” than the rest. And luck played her innings on my side of the fence, and I did not let myself down. And then the second call came. I was on the Siachen glacier, and in a glacial valley 18 of my men got buried under an avalanche. Those of you who remember the Giyari incident, with the search operation undertaken with machinery and implements, can not imagine the back breaking search for the buried men, with each dig with picks and shovels, and often with bare hands almost getting frozen to the point of breaking off form the wrists, the danger of getting buried alive like those we dug for looming on our heads. And finally on the 14th of August just as luck would have it, I asked the team to change the direction of the search in a 180 degree turn. And 20 yards of tunneling under snow and three hours later we managed hit the feet of the last soldier, another two hours and we had retrieved the last of the bodies; the sky shattering Allah ho Akbar still reverberates in my mind and gives me goose bumps almost 28 years later. That was nothing but the tenacity of the troops and their will that made us work for over a month in the most hostile of conditions to not leave a fellow soldier behind that led to this triumph. Although it was counted as a notch on my totem pole, this triumph truly belonged to the men under my command. And I sat and relaxed, having had my fair share of wins, I started to live life as a normal human being occasionally talking of the good and the triumphs, and tribulations of life, I saw myself joining the ranks of the veterans! Till the 5th of October of 2009 when I joined the ranks of the ordinary Pakistani in the street! That Pakistani who you see on your television screen after the breaking news flashes and live exclusive coverages of a terrorist attack – standing arms akimbo crying, hurt, not sure what happened to him and why he was one of the people at the venue of another bomb blast! That Pakistani who you change the channel on. The loss of a loved one in a suicide bomb attack is something that cannot be explained or talked about. It is something that only the one who goes through the catastrophe can understand! I felt that all that I had done in life, everything I had worked for achieved and triumphed over, was taken from me in the flash of the exploding explosive of the suicide jacket! And then I got an opportunity to speak about my loss, and I realized that I had to become the voice of the survivors of terrorism in Pakistan. And I started to look for and meet survivors and talk to them so I could share our grief. The first time I met a widow, she just sat there and looked at me, I could feel her look pierce my body, go through my heart and reach my very soul. I sat silent, while all round thee was sounds of sorrow. Yet we sat silent, shallow breathing and blank stares, as blank as our minds and hearts. And then she sobbed, and started to speak. Everyone all round fell silent, twenty days she had stoically braved the loss, putting up a brave face, and finally she broke. Her husband was all she had and now she did not have him. And this started my crusade to speak truth to terror, and try to bring succor to others like me crushed under the burden of the will of God and culture of silence prevailing in our society. And this ability to emphasize and make people speak of their loss has been my greatest triumph. Finally as Nelson Mandela said, I learned that courage was not the absence of fear, but the triumph over it. The brave man is not he who does not feel afraid, but he who conquers that fear. A little over five years ago, I needed to talk to someone, anyone. I needed catharsis to find if the doubts, fears and guilt I faced were mine alone, or I was part of a larger group with similar issues. And I found myself stonewalled at every step. No one was ready to listen to me. Every one found sanctuary in an age old cultural and social desire of not discussing any issue that questioned the beliefs and norms – of acquiescing to what is happening – something that is so deeply entrenched in us with years of “teaching.” In plain words, one must accept misfortune in silence in the hope that time will heal wounds. somehow the editor changed it to this. the picture also is theirs. 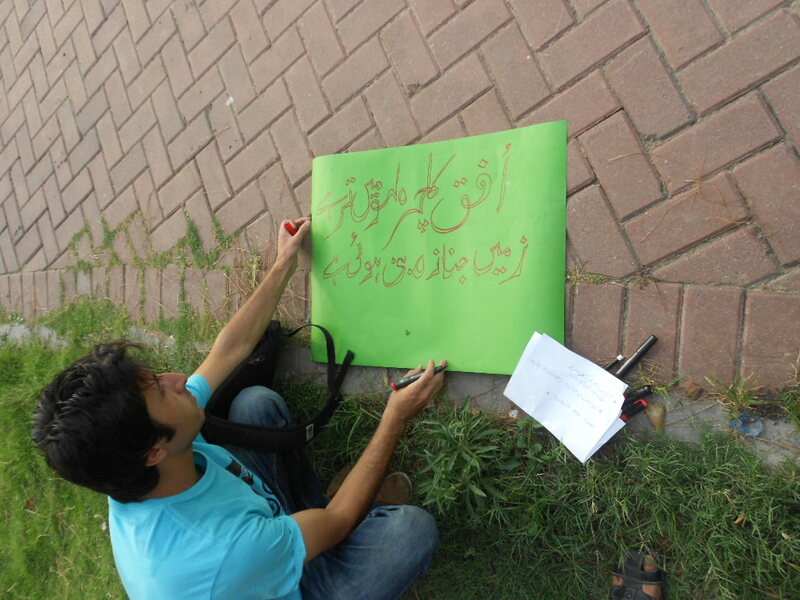 On the Fifth of October 2009, I joined the ranks of the ordinary Pakistani on the street. The Pakistani lost between debates of Islam, the rationale for Pakistan’s existence, two nation or diverse nationalities, deciding who is a Muslim who not; wondering why people in the power corridors are unconcerned about the blood on the streets. Gone was the pampered Army brat, a crust of upper society, one rubbing shoulders with gentry. All lost in one all leveling bomb blast. On this day, at about 12:15 PM, a soldier of the Frontier Constabulary walked into the well secured Country Office of the UN World Food Program in Islamabad. He was a suicide bomber dressed in FC uniform and he blew himself up. Gul Rukh Tahir, Farzana Barkat, Abid Rehman, Muhammad Wahab, and Botan Ahmed Ali Al-Hayawi lost their life in this attack. Today, four and a half years on, as Pakistan debates the how and why of the F 8 Courts attack with the usual cacophony of apologetic arguments heard again. A feeling of disquiet, a foreboding, a sense of deja vu for the survivors of this attack, and the families who survive those who fell victim to this act surfaces. I feel revival and flashbacks to the scene outside the WFP premises when I reached there, looking for my wife. 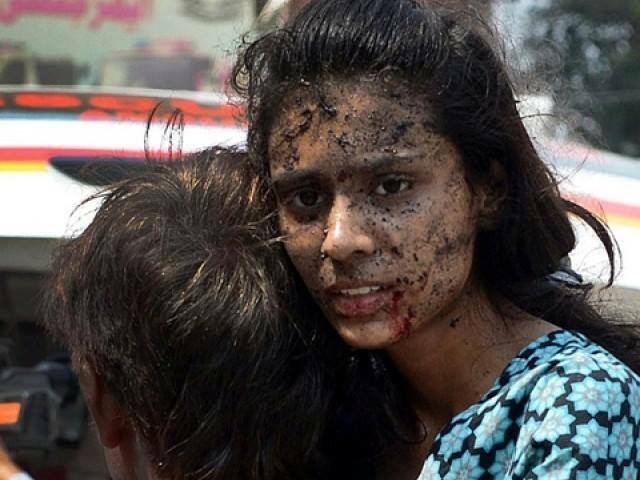 Not knowing that Gul Rukh Tahir was a victim of the suicide attack! Today, as the acts of terrorism continue unabated, and toll of Suicide Bombing Victims reaches 6,053 dead, 15,880 Injured, and continues to rise, I have a sense of despair. Questions arise in my mind for anyone listening. Questions that I have asked on many forums since 10/5, getting blank stares and incredulous looks in response! What have we done to deserve this fate at the hands of self-professed reformers and torch bearers of a faith twisted to suit their concept of a Caliphate over the world? What have we done to see our rulers vacillate at the altar of expediency for continuation of their rule? What is the deep dark secret that keeps us from taking steps that will eliminate this menace from amidst us? Why is Islam being bandied about as the decider in the battle against terrorism? As the uncertainty deepens talk of Good Taliban, and Bad Taliban surfaces. Is it to justify the stand that talks solve all issues, even if the other side has one sided dogmatic stance? That begs the question, are Taliban justified to differentiate between good musalman, and bad musalman, and kill accordingly? With strong undercurrents of the sixty five year old debate, was Pakistan created for Islam, or for Musalman’s? 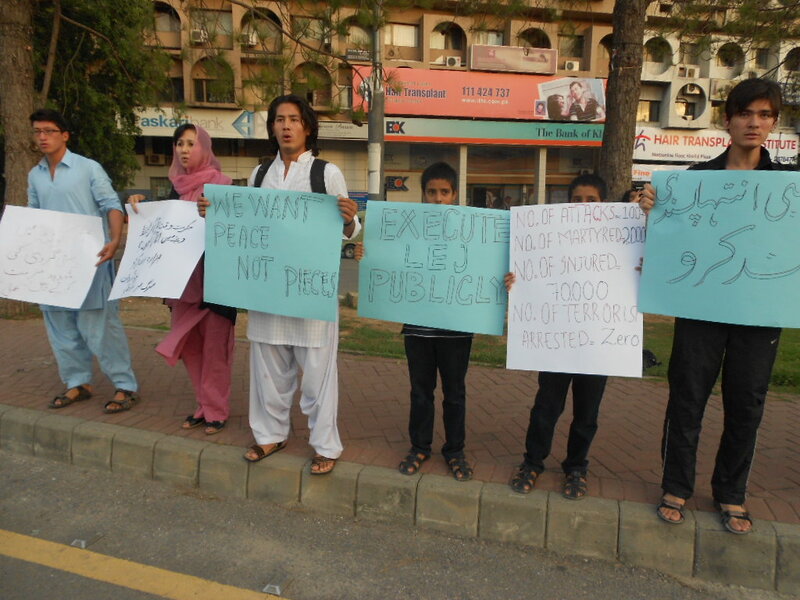 Are we Muslim Pakistani’s, or are we Pakistani Muslims? What do we stand for? Or are we destined to be shot wherever someone thinks there is a need to have a religious cleansing? I grew up with a strong sense of Pakistan, my father being an Army man, we never had any doubt that Pakistan was where muslamans lived, not that Muslims make Pakistan. Then as a soldier defending the country pre and post 1971, there never was a question of identity. So why now? Why is 1979 touted as the turning point for us, while Afghanistan stood the acid test, and the USSR lost? Why does Iraq, Saudia Arabia, Syria over 2600 km away impact what we do in Pakistan? And why is the US considered the mother of all evils in Pakistan? So do these musings make thinking Pakistanis bad Musalmans? If yes, then we should not ask for whom the bell tolls, for surely it tolls for us! i was a guest on the Voice of Kashmir FM radio talk show on June 21, 2013, the topic was role models in our life. the talk is in urdu, and starts at 23 minutes, the delay due to technical reasons during which the audience had to hear music. update – September 11, 2013: the item has been de-linked by the radio station, i will try to get a new link or a mp3 file to upload here. 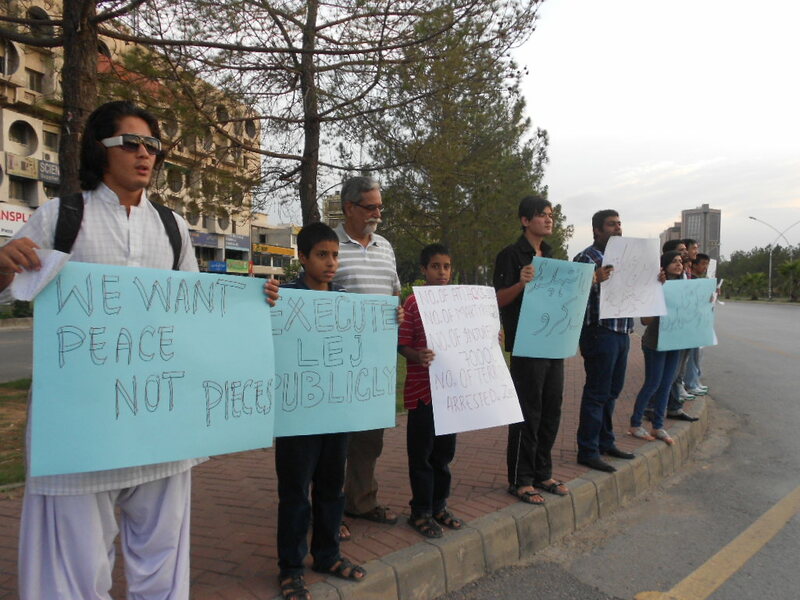 yesterday July 01, 2013 i stood in the D Chowk Islamabad, to protest the bombings in Quetta and Peshawar, and the general terrorism related situation in Pakistan. more than us who stood there, were the security and police in evidence, as if we were not there to protest the bombings but to carry out bombings! we need a government effort, in earnest and in all dedication to rid the country of this menace! 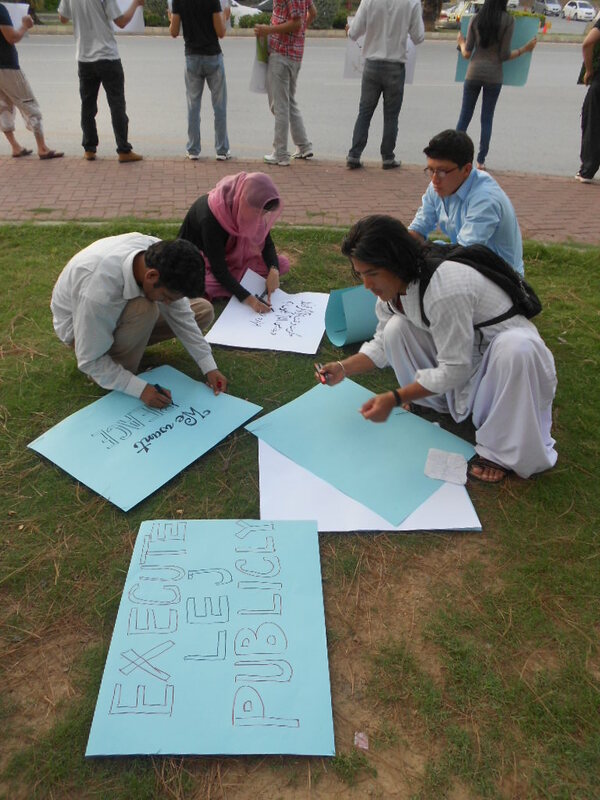 writing the placard for the demonstration. standing along the road to show solidarity with victims and survivors.